How Does A PTAC Work? Often abbreviated as PTAC, packaged terminal air conditioner units are energy efficient solutions to cooling and heating spaces without the need for ductwork. Whether you’re renovating an old home, replacing an existing model, or outfitting the guest room for family and friends, packaged terminal air conditioners are the answer to providing your space with long-term comfort. Typically used in the hotel industry or for homes that lack central air conditioning, packaged terminal air conditioner units are space-saving appliances that provide powerful relief—whether it be heating or cooling—to the rooms they are in. These ductless ACs are designed for through-the-wall installations close to the floor of your room, with the exterior grill facing outside and the controls facing the room. 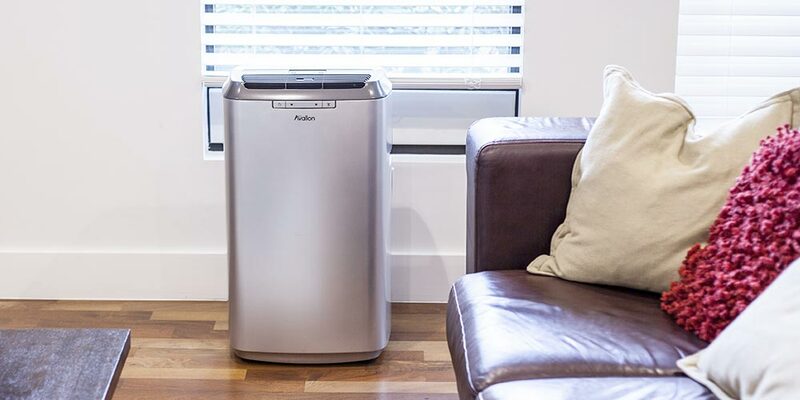 From installation tips to brand comparisons, if you’re on the hunt for a new packaged terminal air conditioner and aren’t sure where to begin, this article will provide you with everything you need to know. Whether it’s a cool-only or dual heat/cool model, packaged terminal air conditioners are engineered to accommodate specific applications. The compressor-based system of a PTAC is designed to pump refrigerant throughout the compressor in order to cool the space to your desired degree. To condition a room, the refrigerant will cool the unit’s coils which then forces the heat and humidity outside. On the other hand, to warm up a room, the refrigerant will heat the coils which causes an opposite effect, pushing the air that passes over into the space. When it comes to keeping your home warm, packaged terminal ACs either use heat pumps or electric heat. Heat pumps models typically use a four-way valve to reverse the refrigerant’s flow and cooling cycle, providing supplemental heat to homes in temperate climates. Units that feature electric heat have an additional heating element near the vents, and are often much quieter and last longer than heat pumps. However, models with heat pumps have become increasingly more popular due to their energy efficient operation. Commonly found in hotels, hospitals and renovated buildings, packaged terminal air conditioners work best for conditioning single rooms. If you’ve recently added a new addition to your home, or have a room that’s always a little too warm, PTACs are great for eliminating unwanted hot spots without exhausting the central AC. These 42-inch conditioners can be fully operated using their digital display controls, which allows you to easily adjust the set temperature and access convenient features. Because of their design, these units aren’t recommended to cool or heat more than two rooms at a time. This will cause the conditioned air to be distributed very unevenly, in addition to adding stress to the unit which can negatively affect its life expectancy. Packaged terminal air conditioners are simple to install, easy to maintain, and can last for up to 10 years—sometimes longer—to ensure your home is as comfortable you want. Selecting the right model for your space is important in order to stay comfortable and conserve energy. There are a few things you’ll want to take into consideration when choosing your PTAC. If you’re searching for an energy-saving alternative to keeping your room comfortable throughout the year, these units are the best contenders. Including both heating and cooling, using a packaged terminal air conditioner can help you save as much as 20 percent on annual utility costs. If you plan on only using the cool function, investing in a window air conditioner may be more beneficial. PTACs are generally more expensive, and they require an external sleeve and exterior grille which isn’t included in the cost of the appliance. Wall sleeves are designed to hold your unit in place, since the wall isn’t able to support the air conditioner on its own. Grilles vary by aesthetics only, not by functionality, so the look is the only thing you’ll have to consider when picking one out. If you are replacing an old PTAC model, you can most likely reuse the existing sleeve and grille. One of the first things you’ll want to figure out is how many BTUs, or British Thermal Units, your space will need. To do this, you’ll want to use a BTU calculator. The output of your ideal PTAC depends on the size of the room you are trying to condition. Purchasing a unit with the right amount of BTUs is crucial so the room doesn’t get too humid. While using a larger-than-required BTU appliance may sound like an effective idea, it’s quite the contrary! Purchasing a PTAC with too much power can cause uncomfortable humidity as well as affect the overall operation of the unit. An air conditioner that isn’t powerful enough for your space will end up using more energy than required, which can overwork the unit and shorten its lifespan. When you’re outfitting your room with a new PTAC, it’s important to pay attention to the required plug type that each appliance needs. There are three different options for amperage when you select a packaged terminal air conditioner: 15 amp, 20 amp and 30 amp. Your PTAC unit can be plugged in, or it can be hard-wired to the wiring inside the building. When looking for a location to install the unit, make sure the plug type appropriately corresponds with the outlet you are trying use. If you’re replacing an existing conditioner, check the data plate on the chassis to determine the amp draw, and make sure that the plug matches the one already in use. EER (energy efficiency ratings) and SEER (seasonal energy efficiency ratings) are used to measure a unit’s energy efficiency. The higher the rating, the more energy efficient a unit is. Packaged air conditioners display EERs; split systems, or indoor units that are piped to outdoor units, display SEERs. While the ratings are consistent across models, they can’t be interchanged, as each rating has its own testing procedure. PTAC units come with either a one-fan or a two-fan system. Two-fan systems are quieter, with one fan on the condenser side and one on the evaporator side. Choosing the fan system is often the only reliable way to ensure a quieter system, as many major brands all have similar noise levels otherwise. While the different PTAC brands use data to determine their noise levels, they all use different standards for testing, so there isn’t really any continuity. Drain kits are composed of drain fittings, gaskets, and spouts that attach to the base pan of a packaged terminal air conditioner. 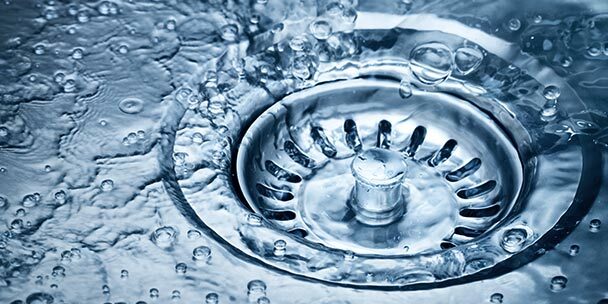 Drain kits aren’t required, but they can be helpful for preventing excess condensate from spilling onto the ground. Most of the condensate is placed back onto the coil to increase efficiency levels, but some will occasionally spill out through the exterior grille on the back of the unit. With a drain kit, you can use a hose to redirect excess moisture. These kits are often used for large hotels or condominiums. While PTACs come equipped with built-in thermostats, remote thermostats offer an added convenience by allowing you to customize your space. If the room is still being built, you should have the thermostat wiring laid out before the walls are enclosed. If you’re installing the air conditioner in a room that’s already been built, wall-mounted thermostats are readily available and usually offered by the appliance manufacturer. Deciding to install a packaged terminal air conditioner in your home, office or business location is an easy way to effectively heat and cool an area without installing complicated ductwork. Installation and maintenance can be a little tricky since these air conditioning units are not the most frequently installed systems. The following tips will help you plan and install your PTAC without any unnecessary headaches. No matter where you decide to install your packaged terminal air conditioner, each location is going to have its own challenges. If you’re replacing an old unit in the home or office, make sure to measure your existing system so you can find a similar sized model to fit. If you are installing a PTAC system for the first time, carefully select a spot on the wall that will provide the best possible appliance operation. You should allow 6 to 8 inches of clearance around the unit to ensure for proper airflow and circulation. Be sure the air conditioner you’re installing has the correct BTU output for the size of the intended space. Remember, purchasing an overpowered conditioner can be detrimental for heating and cooling—and short spurts of cooling do not completely dehumidify a room. Once you’ve found a spot to install the unit, make sure the exterior side of the wall is not in close proximity to bushes, trees or other objects that may obstruct ventilation. For new installations, you’ll have to cut a precise opening in the drywall to accommodate the dimensions of your appliance. Most packaged terminal air conditioners are approximately 42 inches wide, at a minimum, so refer to the product manual for exact specifications. Providing an anchored, stable installation for your unit will optimize its performance while enhancing product longevity. You should frame the PTAC with substantial wood studs so it can be securely installed. A lintel is a type of support that should be installed over the AC to ensure the weight of the wall or window isn’t carried by the unit. It is very important that your unit is completely level; if it’s slightly angled, excess water could lead to water damage in the room. You will be required to screw the unit into the outer sleeve, so make sure not to puncture the base pan that collects condensation. This simple tip will help you avoid costly water damage under your packaged terminal air conditioner. As you install the unit into the wall, properly insulate the perimeter to maintain the highest energy efficiency while preventing unwanted drafts from entering your room. If you are replacing a previously installed PTAC, acquiring the right power might be as easy as unplugging the old unit and plugging in the new unit. Before you plug in the air conditioner, make sure the wiring and outlet can handle the voltage that is required by the system. If you aren’t an expert in the field, contact an electrician to properly wire the installation. Although there may be more upfront costs, you’ll reduce the risks of fire hazards and other electrical conditions that would damage your unit. Because part of the PTAC will be exposed to nature, it is crucial that the exterior components are properly sealed. In most cases, you can use a specialized caulking to create an airtight seal around the casing of the unit. You should refer to the product owner’s manual or manufacturer recommendations for weather sealing the appliance. Reading the instructions before installation can save you a lot of pain! 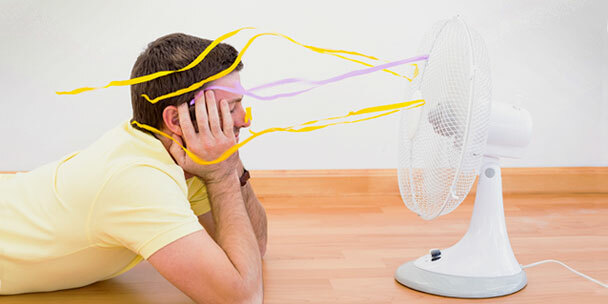 After you’ve invested in a packaged terminal air conditioner and gone through all the installation costs, it can be tempting to forget about maintaining the unit. Proper maintenance will extend the life of your unit and help you save money while improving the air quality. As with any other air circulation system, it’s important to clean or replace the filter as instructed by the manufacturer. Carefully clean the unit and inspect it from the inside and outdoors before extreme temperatures hit in summer or in winter. Proper installation and maintenance of your PTAC unit will help you stay comfortable for years to come. Many heating and air conditioning contractors will not install PTAC systems because the labor is too easy. These type of units are self-contained, meaning a general contractor or carpenter can prepare the wall and even put the unit in for you. Whether it’s you and a friend or a hired professional, packaged terminal air conditioners can be installed and ready to use in almost no time at all. When you are in the market for a PTAC, the top packaged terminal air conditioner brands are LG, Friedrich and Amana. Each has a diverse array of models that cater to your specific needs, but it’s important to understand the benefits and differences of each brand. Across all of the brands, a quality PTAC will cost anywhere from $700 to over $1,000. As the size of the space and BTU output begin to climb, so do the costs of more powerful options. Other than power, there are additional features and functions that can also affect the price. Amana produces some of the most simple and economical units that are the most affordable compared to LG and Friedrich models. Even though Amana’s units are less expensive than the others, the brand creates PTACs that are easier to maintain with reduced repair costs. LG specializes in producing highly reliable ACs with convenient features, like anti-corrosion finishes or hydrophilic layering, that keep their units in good working condition for much longer. Friedrich’s packaged air coolers feature sleek, sturdy constructions and are engineered with sound reduction technology to achieve quieter operations. If you want special options for remotes, wireless controls, and energy-efficient functions, you will have to invest more money on the unit. Among the major brands of PTACs, you will find units that provide supplemental heating options in addition to only cooling. 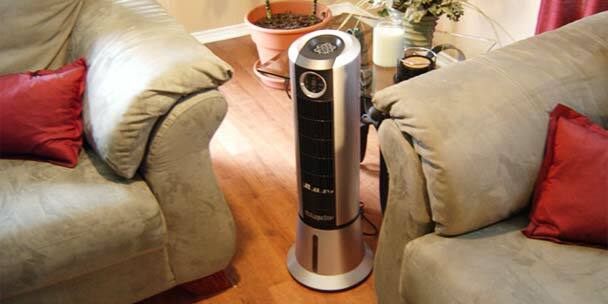 LG features models with efficient heat pumps that help extract and pump in hot air from the outside on cold days. Some of Amana’s packaged air coolers use a heated wire system, which—although they aren’t as energy efficient—typically last longer than models with heat pumps. Similar to the other models, Friedrich offers PTAC units that combine cooling and heating while giving you the option to heat using a pump or with an electric resistance system. Friedrich and LG offer an extensive, complete line of air conditioning units that are both high quality and reliable. Staying comfortable has never been more important than during the hottest, or coldest, times of the year. Seasonal energy prices tend to skyrocket whenever you need it most—which can send someone seeking a more energy-efficient system to help save on monthly utilities. To help combat high prices, Friedrich manufactured a universal heating cord that allows you to control the electric heat by simply switching out power cords. Some of their models are equipped with thermostat range controls that shut down the fan and compressor once your set temperature has been met. Amana developed the DigiSmart system, which has both a wireless thermostat control and occupancy sensor, for increased efficiencies up to 35 percent. This allows all of the PTAC systems in your home or office to be wirelessly connected for quick and convenient adjustments. 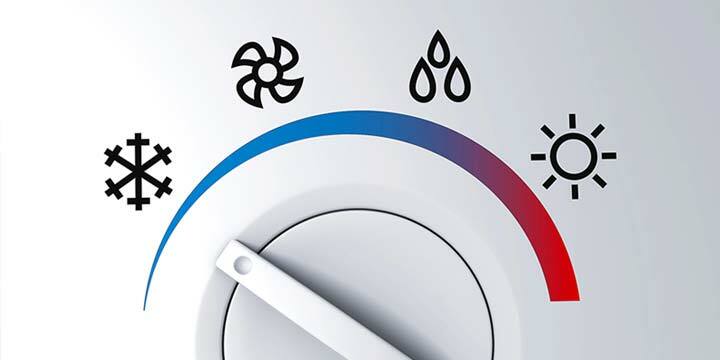 LG has created energy efficient units that help reduce energy consumption, with convenient features such as Energy Saver mode, adjustable dip-switch settings, and a rotary compressor—just to name a few. 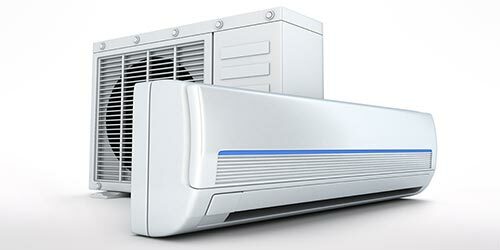 Packaged terminal air conditioners are excellent choices for the right customer. These units are completely self-contained and can be installed fairly hassle free. Depending on the model and features, you can conveniently adjust the operation of these units using the included remote or on the digital display control panel. When you purchase your PTAC, be sure to get the right size and model for your space. If you’re searching for a model with quieter operation, choose a packaged terminal AC with a two-fan system instead of one. Finally, select a model with a high EER or high SEER to ensure for the best energy efficiency possible. Now that you understand the differences between the top PTAC brands, you can make a more informed decision of which model best suits your needs and interests. With the proper maintenance and usage, these intuitive air conditioners can provide ideal heating and cooling for your space. James White is a content specialist and tech enthusiast. He enjoys learning new things that make others' lives (along with his own) much easier. I am looking for something to cool/heat my granddaughters playhouse. It is 8×14 with 7 foot high walls (11 feet to the peak). Thank you for the article, much appreciated.